Radio One Philadelphia has announced the promotion of Karen Vaughn as the Operations Manager of their three station cluster: Old School 100.3 (WRNB), Praise 103.9 (WPPZ), and BOOM 107.9 (WPHI). Karen’s broadcast career spans across the country and has been well recognized. She has been afternoon host on Indianapolis’ heritage radio station WTLC 106.7 FM, and Program Director for WTLC-FM, WTLC-AM, WHHH-FM and Boom. 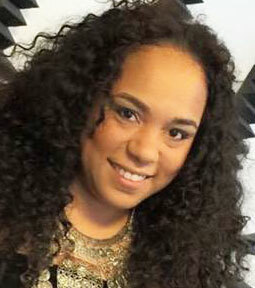 Prior to Radio One Indianapolis, she worked at WZAK-FM in Cleveland and Hot 105 in Miami. She has been honored as Assistant Program Director and Music Director of the Year from Billboard Magazine, Radio and Records Magazine and Gavin Magazine. Her Radio show has also been nominated for Urban Radio Personality/Show of the year, named on R&R Magazine’s “Women on the Rise” Top Ten list. Most recently Karen has been inducted in the Broadcaster’s Hall of Fame.